This post is ment as a followup on my previous post titled "What can we expect from 10.04". 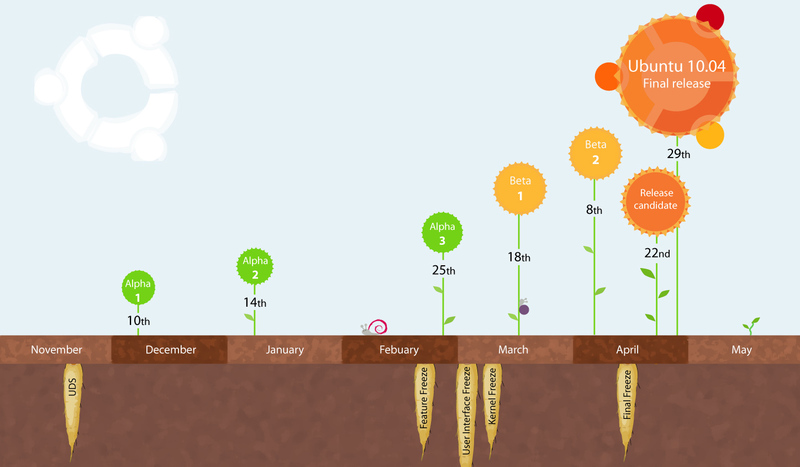 Of course no one can know exactly what Ubuntu 10.04 will be like and what features will land. But based on the outcome of the Ubuntu Developer Summit in Dallas here's my vision. If you've been following the Karmic development, you will know that much of the work landed rather close to the actual release. With Lucid Lynx, the plan is to land as many critical elements as possible around alpha 2. The release schedule looks a little different this time. The biggest change is that there's now two beta releases. This is mainly done with the hope that more people will help test the release and report bugs earlier in the development cycle. Since this is a LTS release, there will also be more time scheduled for bug fixing. Lucid might not be shipping the latest and greatest, because the of the increased focus on stability and long term support. The opposite might also be the case, as we saw in Ubuntu 8.04 Hardy Heron, where the final release shipped a BETA version of Firefox. There's some crucial choices to be made. Rhythmbox will be the default musicplayer (Banshee might be considered again for Lucid+1) and will have an integrated music store. The music store will deliver the ability to purchase music from within Rhythmbox. No actual music partner has been announced yet, but Canonical are looking at several major vendors. The music downloaded to your music player library locally can be synced across all your computers via UbuntuOne. All the music will be DRM free, which means there will be no restrictions as to how many times a user can copy their purchased music. With UbuntuOne you will be able to easily share any folders in your home directory. No need to move files into the UbuntuOne folder anymore. The team has also got massive plans for the future. As you might have heard, Rick Spence brought up the suggestion of removing the GIMP from the default installation (it will still be available in the Software Center). The Gimp is a showcase for the power of FOSS, but it is also very complex. It takes up a lot of space, and basic photo editing tasks are taken up by F-Spot (though F-Spot could use some allround love). The plan is to include a videoeditor by default and the choice has, for now, landed on PiTivi. This has caused a lot of people to complain (with feedback), but this really isn't a big deal. The GIMP is not being "abandoned" just because it is not installed by default. 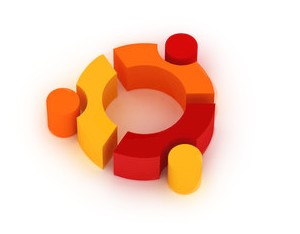 The Ubuntu community supports a lot of software; not just what is on the disk. During the Alpha cycle, it will be decided if PiTivi is ready for the Lucid Lynx. Ryan Paul has written a nice article about the topic on the ArsTechnica website. Lucid will ship OpenOffice version 3.2.1. The selection of games will undergo a clean-up. Basically the goal is to choose fewer, better games by default – especially ones that are online multi-player games. For Ubuntu Lucid, the messaging menu will by default contain a section for each messaging application you are actively using. The goal is to make the panel elements feel coherent and the behavior more consistent. Each section will show an item for the application as a whole, then any custom commands specified by the application, then any items for individual message sources within that application. 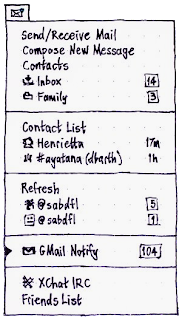 An application may provide a new-messages count or a time-since-last-message for each message source as appropriate, or alternatively provide a new-messages count for the application as a whole. 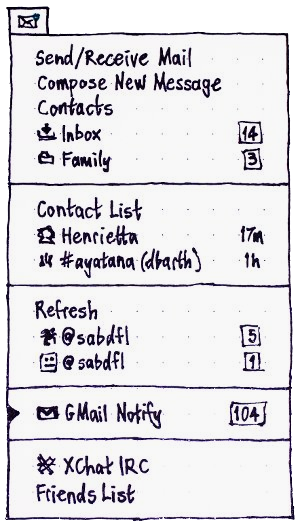 Your default mail application, and Ubuntu’s non-mail default messaging applications (Empathy and Gwibber for Lucid), will be placed first in the menu if you’re using them. All other application sections should have an item for the application itself, highlighted with a triangle if the application is currently running. Improvements are target the session menu, status menu, sound menu and power menu. One of the biggest features that were introduced in 9.10 was the Software Center. With a simple design it can be used to install and remove software packages and to add repositories for finding, installing and managing new applications. In Ubuntu 10.04 the Software Center will expanded its features and will also present packages (as opposed to end-user applications). It is also planned to include a way for users to review software or packages. Go back to 4 workspaces to make it worth a users while to learn the feature. Improve animations - they need to be made more consistent, faster. 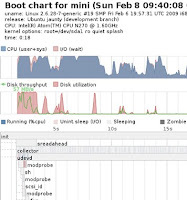 Disabling plugins to improve boot performance (compiz currently takes 9 seconds to start!). The notification system that was introduced in Ubuntu 9.04, will have a "do-not-disturb" mode that individual applications can trigger. Whenever a program is inhibiting the screensaver, Notify OSD will be in the do-not-disturb mode. This means that while you’re watching a movie in fullscreen, you will not be notified about chat, e-mail or other non critical notifications. However a notification will appear if for example your battery is low. Started during the Ubuntu 9.10 development cycle was an Ubuntu project to address paper cuts in Ubuntu, or rather small usability bugs in Ubuntu and the Linux desktop that are often only minor impairments or annoyances, but these easy-to-fix issues have never been heavily targeted for correction. These "paper cuts" are often spotted by new Linux users but frequently go unnoticed to those that have been using the Linux desktop for a while and are accustomed to its shortcomings. Most of the 100 paper cuts targeted for Ubuntu 9.10 were addressed (the official count seems to be at 76), but this project is going to live on with Ubuntu 10.04 LTS. Lucid will have ten rounds to fix 100 (or more) paper cuts in time for the Lucid Lynx before it is released in April. Three of the ten rounds are focused on addressing the outstanding paper cuts from Ubuntu 9.10. David Siegel has described the ten milestones that will help structure the effort to fix one hundred paper cuts for Lucid in his blogpost (see the Lucid series on Launchpad). If all goes according to plan, 100 paper cuts will be healed by the end of February. Dustin Kirkland recently announced Testdrive which makes it simple to run any Ubuntu release in a virtual machine, safely, and without affecting your current Ubuntu installation. This is a great way to "try out" the Ubuntu release beyond your current version, before upgrading. Dustin Kirkland expects that testdrive will be very useful to Ubuntu developers, testers, and bug triagers during the Lucid development cycle, as these people will be able to test Lucid's daily ISOs throughout the cycle, and in particular at the release milestones for ISO-acceptance-testing. There's a 10 second goal for boot time for Lucid, with the Dell Mini 10v with SSD as reference machine. The desktop-team has got a lot of work to do to reach the goal, which will shave 10 seconds off the the boottime. Even though we haven't seen any drastic improvements in Karmic, all the under the hood work done in Karmic will shine though in Lucid. The design and artwork won't change much from what we saw in Karmic - mostly small tweaks and cleanups here and there. Usplash will be replaced with Plymouth. Radeon KMS support should be available in 2.6.32 and later covering the kernel version in Lucid. Nvidia support is expected to only be available via the Nouveau driver, which is currently not slated for inclusion currently. What I’ve described above only covers the stuff I’m most excited about surrounding the Ubuntu desktop. I hope the 100-papercuts project and Dustin Kirklands TestDrive will help crush a lot of bugs. There is still a ton of exciting stuff that I haven’t mentioned like all the server development, Ubuntu on ARM, Ubuntu Netbook Remix, Kubuntu, Cloud, Quickly, Community and so much more. The new Gnome 2.30 release will of course bring a lot of enhancements as well. Looking forward to Ubuntu 10.04 - the Lucid Lynx. Please DIGG this post - thanks. Quote: "Usplash will be replaced with Plymouth." WTF! Do you have any source on this? Will they abandon Xsplash? They'll use both. PLymouth will cover the boot until xserver(and xsplash with it) kicks in. And nouveau is currently being reviewed for inclusion. It looks like we'll see xsplash alone in lucid+1, isn't it? Or are the plans changed and a xserver started in 2 seconds is really impossible? I don't understand what you mean by "Nvidia support is expected to only be available via the Nouveau driver, which is currently not slated for release currently [sic]." Ignoring, for a moment, the awkward writing, it appears that you are saying that Nvidia will rely upon a driver which they are not planning on releasing with Lucid. In other words, Nvidia will not be supported in Lucid. Could you elucidate, a bit?